Gino is a man of many talents and as he started his path with Goodwill’s Work Services program, he soon expressed how he wanted something different and more for himself. Gino was able to find that at Hardee’s Restaurant. 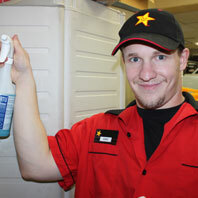 As a combined food preparation and service worker at Hardee’s, Gino assists with food preparation, unloads trucks and puts items away, double checks the inventory sheet, changes ice/soda machines, brings food out to the customers and helps out with keeping the lobby area clean, especially during the very busy classic car shows. Thanks to his family, friends, multiple Goodwill programs, the Wisconsin Division of Vocational Rehabilitation (DVR) and Milwaukee County Department of Family Care for Community Access, Gino has made many accomplishments, including being responsible for the tasks at Hardee’s since July 2013, the start of his temporary work experience, which is supported by DVR. His eagerness with wanting to lean more and his ability to pick up new tasks quickly and independently lead to him being hired at Hardee’s. 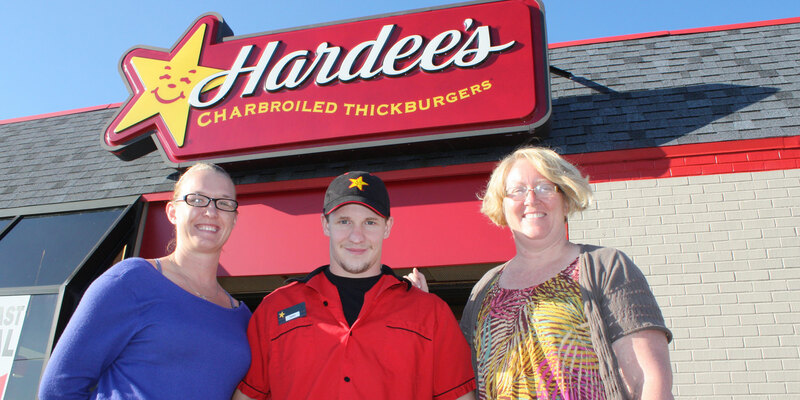 The wonderful natural support system Gino has from the management at Hardee’s also has been important to his success. General Manager Robin and staff have assisted Gino throughout his time at Hardee’s in regards to learning new tasks, asking for time off, making sure he is following company policy, as well as giving Gino a chance to learn different areas of the restaurant to see if it is something he would want to continue doing, such as cashiering. When he isn’t working at his job, Gino enjoys hunting and body building. “I like using the cardio machines,” he says. Gino was able to take time off of work at Hardee’s this year and went hunting up north in Wisconsin the week before Thanksgiving. Being close with family is important to Gino. Just like his family, the work that Gino does at Hardee’s is also important to him.